Before I left Australia I thought our food and agriculture systems had some serious issues. Increasing rates of dietary-related ill-health. Decreasing numbers of farmers. Increasing power of the supermarket duopoly, to the detriment of most other players in the food system. Increasing rates of biodiversity loss, soil degradation, and loss of farmland due to urban sprawl and mining. After nearly six weeks travelling through the US Mid-West, Toronto and three cities of Argentina's interior, I've realised – or rather been reminded – that everything is relative. The challenges that Australia faces, grave as they are, need to be put into perspective. As a country, we are at one point of a curve of a global food system crisis that is much, much more acute in other places. One such place is Detroit, where I was three weeks ago. What was once one of America's richest cities, has long since become a by-word for poverty, violence, unemployment, crime and urban blight. As the auto industry crashed and burned, it took the city with it. From a population high of 1.8 million in the early 1950s, Detroit now has 750,000 people. Unemployment and poverty rates exceed 50%. Diabetes has reached pandemic proportions. Yet even Detroit seems to be in less desperate straights than the thousands of people who live in the cinturones de pobreza (poverty belts) that ring the cities that I have visited, Tucuman and Rosario especially. The conditions in the so-called villas de emergencia (emergency towns) or asentamientos (settlements) are confronting and shocking. Many of the dwellings are shacks, not anything Australians would recognise as 'houses', with plastic covering to keep out rain and provide some modicum of insulation against sub-zero temperatures. Life is hard. Very hard. And yet life goes on. And a key way in which members of these communities are achieving a measure of dignity – and improving their quality of life – is through having access to garden spaces – either in their own yards or in a public space. The Pro Huerta (Pro Veggie Garden) program, which was established 25 years ago by the Argentina national government, helps 600,000 families throughout the country establish and maintain their own veggie gardens. It does this through the provision of high quality organic seed (the only provider of such seed in Argentina), workshops, and technical support through a national workforce numbering over 800 and a network of volunteer promotors numbering close to 20,000. This is what I have come to Argentina to observe, to see what difference a national program of such magnitude makes to people facing conditions of extreme poverty. In Rosario, where I will be for the next few days, the local government has taken this concept to the next level. They have a workforce of 40 full-time staff dedicated to support urban agriculturalists scale up their production to a commercial level. The local government has made 22 hectares available to dozens of families to cultivate on an agro-ecological basis, and crucially provided infrastructure and marketing support, in the form of 10 producers' markets that take place throughout the city on nearly every day of the week. 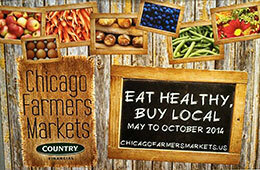 250 producers sell at these local markets. They can't meet the demand. From a cauldron of misery, good things are emerging. It's humbling and inspiring to witness. These famous opening words from Charles Dickens' A Tale of Two Cities sums up how I am feeling after a week and a half in the Midwest of the United States: a week in Chicago and three days in Milwaukee. I feel excited by the scale and diversity of urban agriculture activity that I have witnessed. I feel inspired by the passion and vision and energy of the many wonderful people I have met. Every day brings someone new and lovely into my life. I feel uplifted by the warmth and generosity that I have been shown as a traveller and outsider. Everyone I have met has been so keen to show and tell me what they are doing, the projects they are involved in, the change they are part of. At the same time, I feel deeply saddened by the divisions and suffering that scar the two cities I have spent time in. It is one thing to acknowledge the reality of racial division and segregation in the abstract; it is another entirely to see how it manifests socially and geographically. During my first week here, I spent a fair amount of time in Englewood, a sprawling suburb on the south side of Chicago. I travelled there by public transport, and it was a sobering experience, as the bus went further south, to be in a minority of one amongst all the other passengers. “Urban blight” are just two words that convey an uncomfortable sensation, until you see what they really mean in the Englewood context. Block after block with many abandoned, boarded-up houses. Block after block with many houses stamped with an ominous red X, which means they are slated for demolition. Block after block with growing acres of vacant lots, places where houses once stood. The same is true in the inner northern suburbs of Milwaukee, a city of 650,000 which is an hour and a half north of Chicago. The City of Milwaukee now has 2,500 vacant lots on its books, and 1,500 foreclosed homes. 550 are marked for demolition this calendar year, and thousands more homes, most on the inner north side, are two years or more in arrears on their property taxes. Three years in arrears triggers the foreclosure process. Just as the built environment is in advanced decay, the social indicators are equally troubling. Unemployment amongst African American men exceeds 50%. Violent crime is rife: an hour after visiting one beautiful urban farm in north-side Milwaukee with a group of primary school children, the corner store a block away was held up at gun point and someone was shot. Obesity and dietary-related ill-health are endemic. But for all this desolation – which is writ large in Detroit, where I will be next week – there is so much hope and positivity. Such as the urban farms in Chicago which are growing hundreds of kilos of produce every month to donate directly to food pantries. 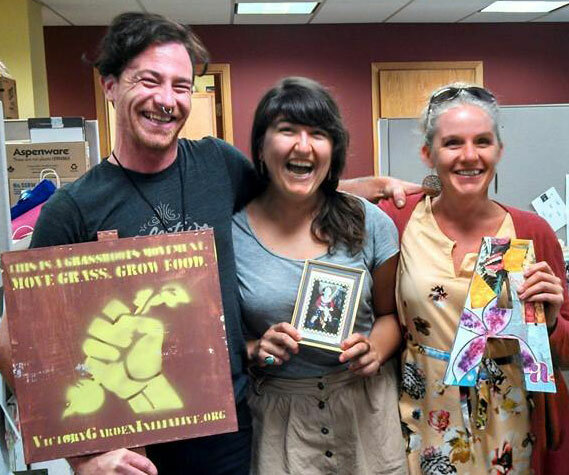 Like the Victory Gardens Initiative, which brought together over 500 volunteers for a fortnight in May, to create 550 edible backyard gardens in Milwaukee – on top of the 514 created in May 2013, and the 700 created in the three preceding years. Like the City of Chicago Food Plan, and the Home Grown Initiative of the City of Milwaukee, both of which anticipate the expansion of urban agriculture both large and small across both metropolitan areas in the coming years. Like Dr Emmanuel Pratt, of the SweetWater Foundation in Chicago, who is pioneering a community demonstration aquaponics centre and a 2-acre urban farm in Englewood. The local governments and their communities are investing heavily in urban agriculture as a strategy for urban renewal and revitalisation. On one level it's about growing food, but more fundamentally, it's about re-creating the connections that sustain healthy communities and healthy people. 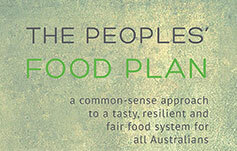 On World Food Day, 16 October 2013, the Australian Food Sovereignty Alliance (AFSA) will launch its revised Peoples’ Food Plan for Australia, based on the values of fairness, genuine sustainability, long-term prosperity, and resilience.